Yemen Payments and Cards Co. The leader of e-payments solutions provider in Yemen. Provide the banking and financial market in Yemen with a range of professional payment products and services including the issuing & acquiring of local & international cards, ATM & POS switching , Electronic bill payments and mobile e- voucher & top up refill , relaying on our business know how and equipped processing center. Yemen Commercial Bank is the main shareholder of Saba-Card which is structured to allow the local Banks in Yemen the opportunity of being a shareholder of Saba-Card and a user of its services, or just a user. Saba-Card owns and manages a comprehensive payments and cards processing center equipped with the latest technology in terms of software , hardware , operating systems , database and communications along with proper methods, in the mean time Saba-Card is capable to provide Banks and financial institutions with payments consultancy, project management and professional services . 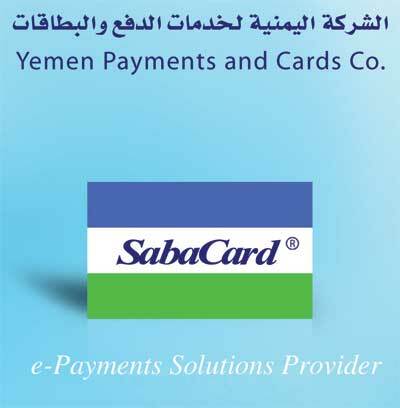 Saba-Card is a partner company of Al Rowaishan Group, this group is one of the financial and business leaders in Yemen. Al Rowaishan Group, established in 1979, is one of the leading organizations in the Republic of Yemen. The owner is Sheikh Mohammed Bin Yahya Al Rowaishan, a prominent public personality in Yemen. Al Rowaishan Group is the owner of 18 Companies, including; Yemen Commercial Bank, Saba Insurance Company, Yemen International Transport Company, Sam Electronics, Yemen Cements Silos Company , Aden Silos & Mills Co., Yemen Felix Tour & Travel, Saba Aviation, and many others. Al Rowaishan Group is also the sole agent in Yemen for Land Rover, BMW, Dodge, Jeep, and Chrysler. 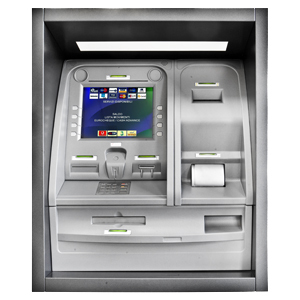 Dispensing capacity up to 12.000 notes. 15? LCD display with touch-screen. Active and passive anti-fraud protection system. CEN safe and additional safety devices. Lobby installation with total front access. Dimensions (WxDxH): 490mm x 870mm x 1490mm. for ATMs and POSs, and offering compatible solutions for national switching to local banks, in addition to utility bills payment and e-refill for mobile subscribers. Sheikh Mohammed Bin Yahya Al Rowaishan, the chairman of both Yemen Commercial Bank and Saba-Card, confirms that Saba-Card is the first of its type in Yemen and it was the result of a clear vision and very well defined goals. The capital investment of Saba-Card was structured to leverage the readiness of Saba-Card as the main processing center and provider for local Banks in terms of card product payments services and to meet the direction and willingness of Central Bank of Yemen to support a central switch in Yemen that has the infrastructure to provide local banks with national switching services. 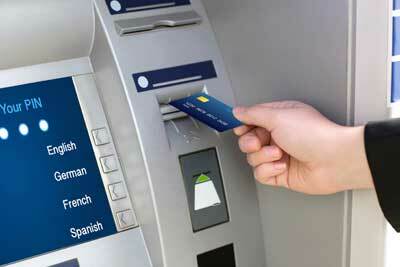 Saba-Card: Is equipped to provide local, national & international switching services for local banks.